﻿ Best Price on Little Corn Beach and Bungalow in Little Corn Island + Reviews! 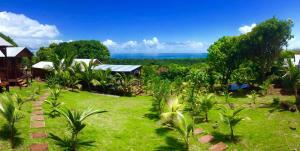 Little Corn Beach and Bungalow is set in Little Corn Island, 9.3 mi from Corn Island. Guests can enjoy the on-site restaurant. Certain rooms have a seating area for your convenience. Some rooms feature views of the sea or garden. 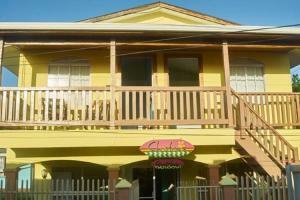 The rooms include a private bathroom equipped with a bath or shower. You will find babysitting service at the property. You can engage in various activities, such as snorkeling and canoeing. 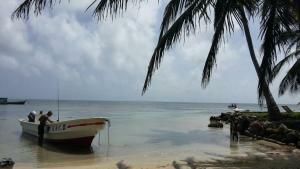 The nearest airport is Corn Island Airport, 9.9 mi from Little Corn Beach and Bungalow. A prepayment of 50% of the reservation is required to guarantee the reservation. There are no refunds under any circumstances including bad weather (or the effects of such) or the threat of a hurricane. It is highly recommended that travelers purchase appropriate travel insurance to protect their vacation investment against these and other unexpected occurrences. Little Corn Beach and Bungalow is not liable for any cost or inconvenience caused by storms, hurricane or travel decisions made by the traveler. Please inform Little Corn Beach and Bungalow of your expected arrival time in advance. You can use the Special Requests box when booking, or contact the property directly using the contact details in your confirmation.